Many would think of Korean barbecue as one of the best-known -- and common --Korean foods. 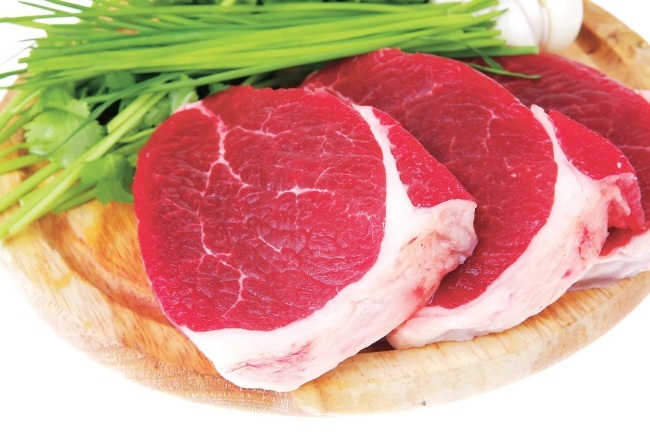 But a recent study claimed that more than 70 percent of Koreans are in fact not consuming enough meat, which can lead to a number of health problems including anemia and protein deficiency. According to the report released by Dankook University, 72.6 percent of 17,460 Koreans who participated in the study were not eating enough meat -- beef, pork or chicken -- from 2010-2012. The inadequate consumption of meat was especially prevalent among Korean women aged 65 and older. More than 90 percent of them were consuming less meat than the daily recommendation for their demographic at 51.4 grams. Also, 84 percent of elderly Korean men (aged 65 or older) were eating less meat than what’s considered adequate for them -- a daily intake of 93.4 grams. The only age group with at least 50 percent of its members consuming enough meat was Korean boys aged 12-18. According to a 2004 study by the Geriatric Research Education and Clinical Center in Arkansas, the U.S., inadequate protein intake contributes to many health conditions among the elderly. These include poorer healing, decreased immune function, increased skin fragility and a decrease in reserve capacity. For all age groups, protein deficiency can lead to hair loss, brittle nails, skin rashes and even anemia and mental problems. Professor Moon Hyun-kyung, who organized the research for Dankook University, claimed that the nation’s inadequate meat intake is behind the high number of female anemic patients here. According to government data, 10.9 percent of all Korean women were treated for anemia in 2012. “More meat consumption could decrease the number of female anemic patients,” she said. “Anemia is often caused by heavy menstrual bleeding, and this can be more dangerous for women who don’t consume enough protein because hemoglobins are made of iron-rich protein,” she said. Moon said Koreans should consume meat according to their gender and age. Aside from pregnant women and growing teenagers, aging men especially require high-quality protein, as their ability to process protein declines with age which can lead to significant muscle loss. Korean adults who don’t drink at least a single glass of milk a day may need to consume more protein, the study suggested. Moon recommended the heaviest daily intake of 216.4 grams for Korean boys aged 12-18, while suggesting the lowest intake of 51.4 grams for Korean women aged 65 or older. The traditional Korean diet is generally known as being high in carbohydrates found in rice and grains. Koreans are also known to be heavy consumers of sodium. According to World Action on Salt and Health, Koreans consumed a daily average of 4,878 milligrams of sodium back in 2010, which was 2.4 times higher than the World Health Organization’s recommended intake of 2,000 milligrams. Recent government data showed that 47.2 percent of Korean teens were overeating high-fat foods in 2013, while 21.6 percent of all adult Koreans were overconsuming high-calorie foods. Protein, however, can be found in a variety of foods aside from meat, such as beans, quinoa and fish. A 2010 U.N. report said diets rich in meat and dairy products are unsustainable as the global population surges toward an estimated 8.1 billion by 2050.